This Connemara marble key ring is hand made in Ireland by Lisibach. 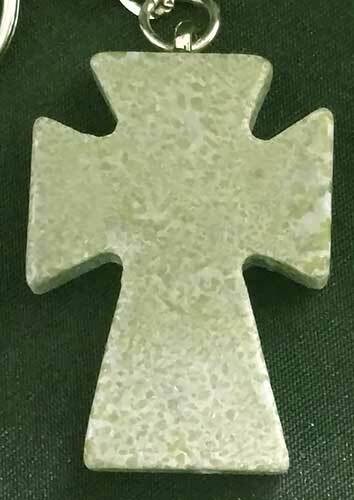 This cross key ring is made of genuine Connemara marble; it measures 1 1/8" wide x 1 1/2" tall and includes a metal chain and ring. The Irish key chain is gift boxed with a Connemara marble history card, complements of The Irish Gift House. Connemara marble key ring features a carved shamrock. 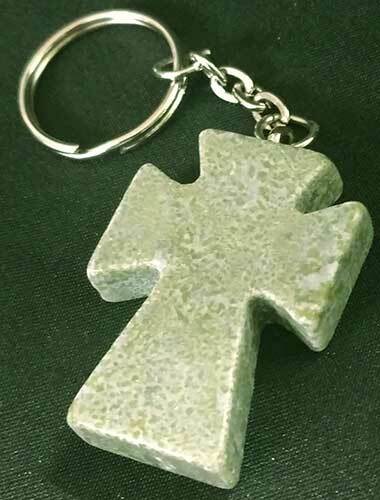 St. Brigid's cross key ring is made of Connemara marble. 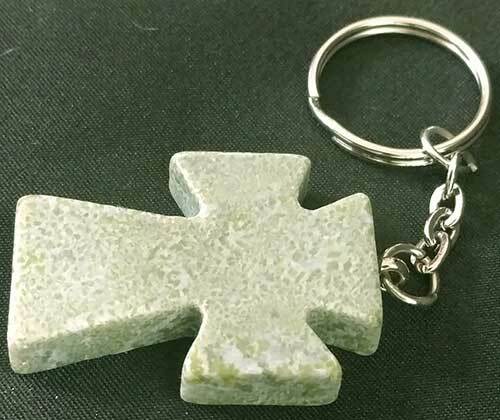 Shamrock is featured on this Connemara marble key ring. Connemara marble key ring features a hand carved Claddagh.